As a shrine where memorial services were performed for deceased kings and queens, Jongmyo consisted of the main hall and various annexed buildings including Yeongnyeongjeon Hall. Along with Gyeongbokgung Palace, Jongmyo Shrine was built in the 5th year of the reign of King Taejo when the Joseon Dynasty moved the capital to Hanyang. King Taejo used the main hall to preserve the spirits of forefathers (Mokjo, Ikjo, Dojo, and Hwanjo), but there was no place to do that when King Jeongjong passed away during the reign of the Great King Sejong. Therefore, they used Yeongnyeongjeon based on the custom of the Sung Dynasty in the 3rd year of the reign of the Great King Sejong. The Main Hall, burnt down during the Japanese Invasion of Korea in 1592, was rebuilt in 1608. With numerous restorations, it now has 19 rooms. Enshrined in the main hall were 19 deceased kings and 30 deceased queens. Yeongnyeongjeon was restored in 1608 after it was burnt down during the Japanese Invasion. Currently, 15 deceased kings and 17 deceased queens including Yi Eun, son of King Gojong, the last king of the Joseon Dynasty, and his wife are preserved in 16 rooms. In the front yard was a place for the 83 worthy retainers. The Jongmyo ritual itself and the music for Jongmyo ritual are designated as Important Intangible Cultural Property. Although Jongmyo was larger than other contemporary single wooden buildings in the world, it looked simple with no ornaments. Jongmyo was made with peculiar architecture with relatively larger front view, looking leveled with 19 rooms while the Chinese one consists of 9 rooms. It provides valuable data for studying the style and characteristics of Asian ancient culture. 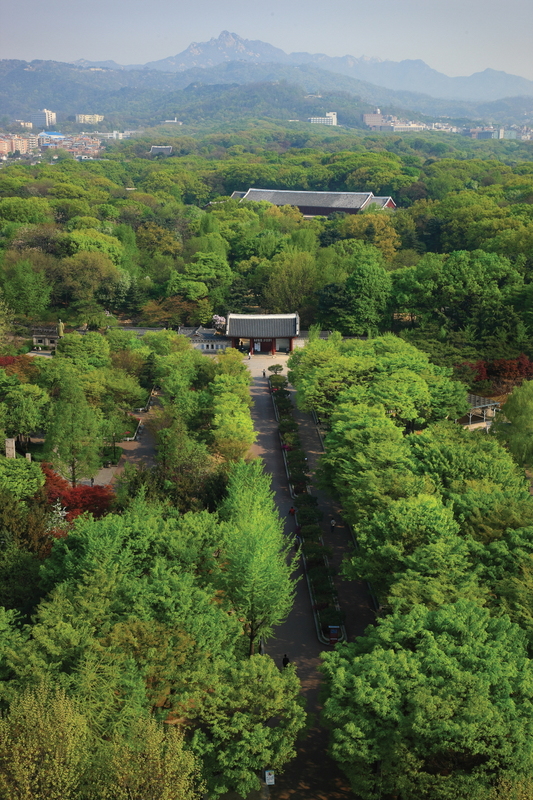 It was registered on UNESCO's World Cultural Heritage List in 1995 because the main hall, the Yeongjeongjeon hall, and the scenery around the park had been well-preserved; the music and dance of Jongmyo ritual had been inherited well, too.